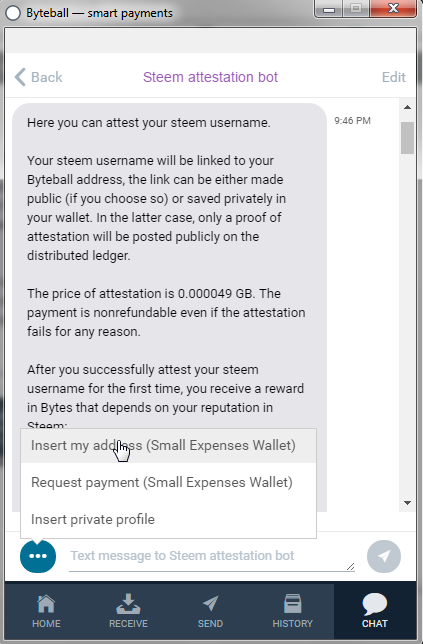 How to get $160 from Byteball Airdrop using your steemit account – Byteball handed out their coins for free to all steemit users. 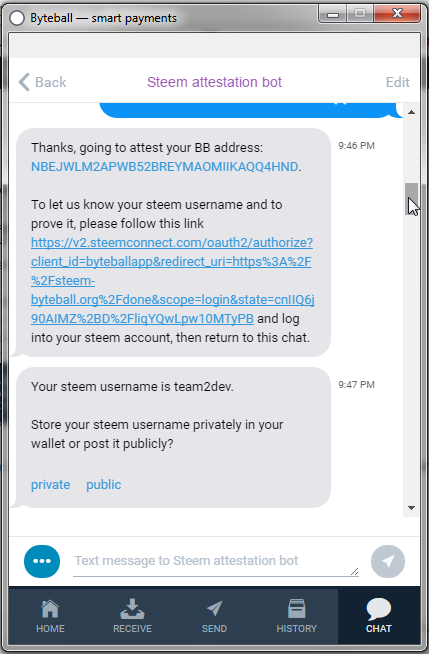 If you are a steemit user, you just link your account with their wallet app and you get the coin. 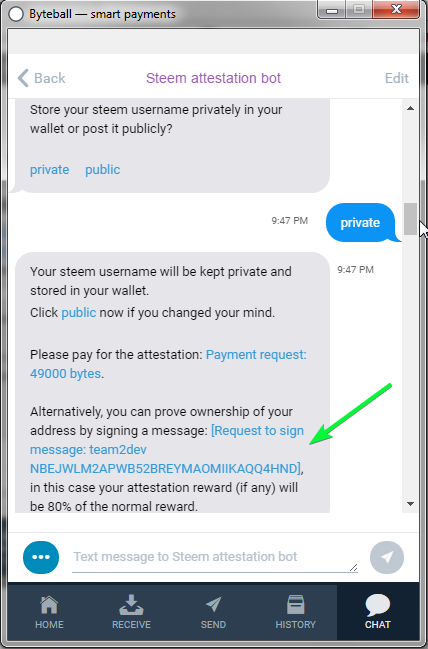 The amount of coins you earn based on your reputation in steemit. 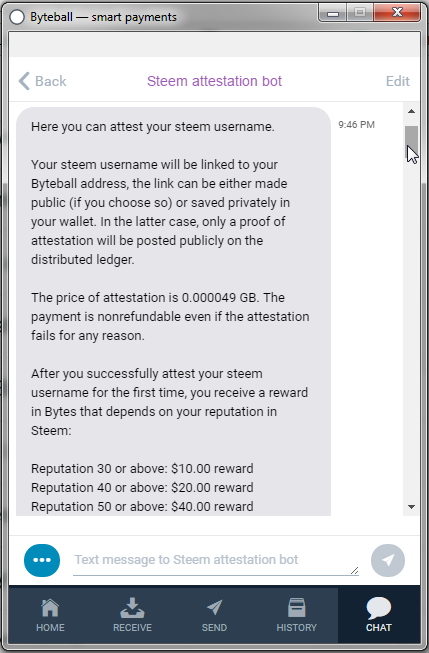 How to get $160 from Byteball Airdrop using your steemit account is a simple tutorial I created lovingly. And this tutorial I present to the users of steemit who want to get Airdrop from Byteball. This Coin is available on market like bittrex, so you don’t need wait to widraw this airdrop. You can exchange it directly. Byteball is a simple risk-free payment. Use a decentralized system that provides anti-corrupt data storage. The system will automatically ensure the payment is met, If the condition is not, all money will be returned to the sender. Byteball has gained a lot of trust from people associated with crypto and others. For a more detailed explanation you can read here. step 2: Choose and download according to your device. 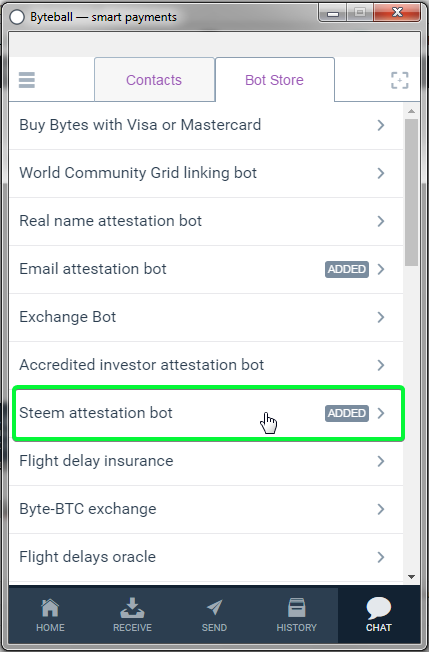 step 9: Please link your steemit account via the steemconnect link provided by the bot in the chat. step 12: Go to home and see your wallet. 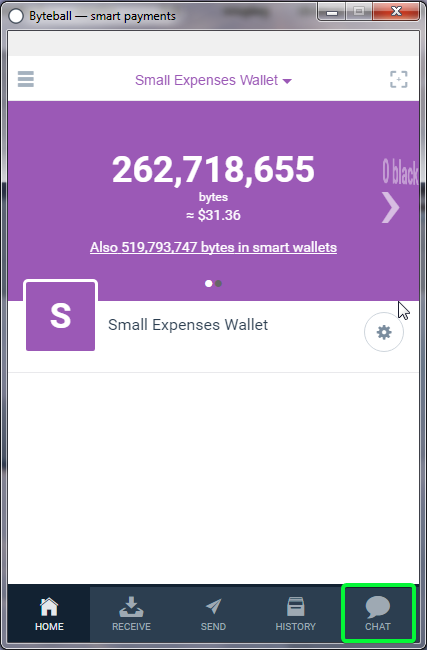 If all the steps above you do correctly, your wallet is now filled with bytes sent by them.